We're getting down to the wire on Christmas, and everyone I know is starting to sweat. Yes, the season started late this year. Thanksgiving fell on November 28th, the latest day it's possible for it to fall. And it seems like we've all been trying to make up for lost time ever since. I'm pretty far behind myself. And let's don't even talk about the packages, or mailing our annual Christmas newsletter. The thing is, Christmas was never meant to be a checklist. It was meant to be the celebration of a miracle. Every year I remind myself of that, and every year I stress about the things I haven't gotten done and might not get done. If you're feeling that way right now, take a deep breath with me ... and fast-forward a few days. No matter what gets done or undone, Christmas Eve will come, right on schedule. Night will fall. The stores will close. The streets will get empty ... and a certain stillness will fall. Things will be as done as they're ever going to get. I already know how I'm going to spend my Christmas Eve: dozing in the living room with my husband, while some of our favorite instrumental Christmas discs play on our old CD player. Once we're done being frantic, we'll remember what Christmas is all about. A time of peace on earth ... even if it has to be reinforced by malls closing. A time for gazing at the tree lights, remembering the Christmas miracle and anticipating the morning. Take heart, everyone. We'll get there. Sierra Donovan is a wife, a mother of two and a writer, though not always in that order. Her job and greatest joy is helping people find true love on the printed page. She's a firm believer in old movies, Christmas, chocolate fudge and happy endings. To find out more, feel free to drop by her website. 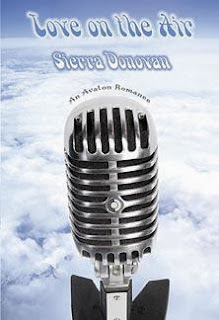 Sierra is the author of Meg's Confession and Love on the Air, which was a Holt Medallion finalist. Her next novel, No Christmas Like the Present, is due out in October 2014 from Kensington Books. Her books are available at Amazon.com and BarnesandNoble.com. Great advice! Thanks! This year has snuck up. I still can't believe Christmas is next week. I love your phrase "a certain stillness." There is something about Christmas Eve and Christmas Day which brings a peace - if only for a while. I seem to be making all my preparations last as well, and I don't even have the excuse of Thanksgiving as we don't have it in the UK, of course. Time just seems to have run away from me this year. Having said that I am finally all prepared and ready for a fun family Christmas Eve with a visit to the zoo and a meal out together, before visiting grandparents--our family tradition. Enjoy your relaxing Christmas Eve!